Industrial fans are available in diameters ranging from 5 feet to 40 feet, in 4 to 16-bladed configurations. Fan blades are also adjustable pitch. Shown in photo: 20 foot, 12-bladed industrial fan. 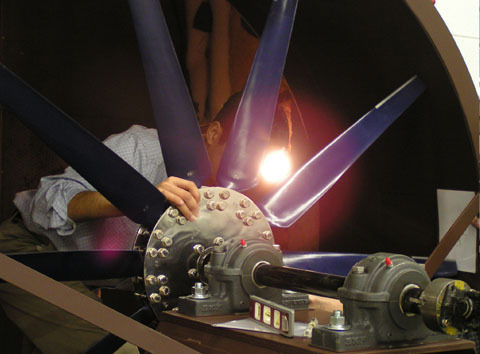 Composite molded fan blades are a single piece seamless design. 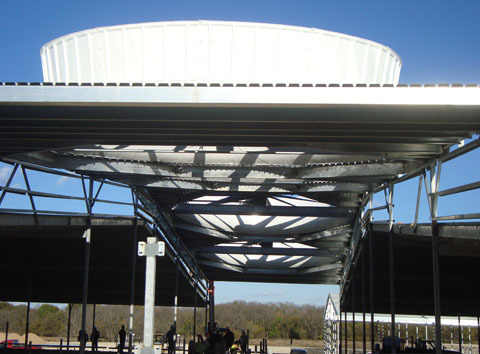 10 feet and larger diameter fans use foam core design to minimum surface deflection/deformation. 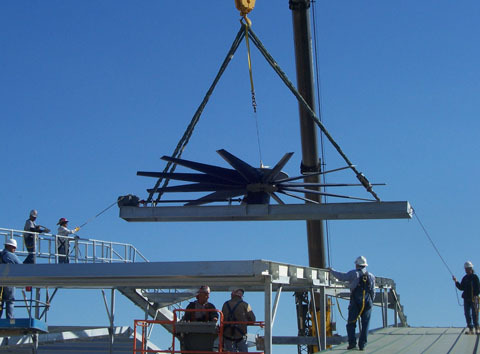 Shown in photo: Installation of 30 foot fan. Swifter® CTX Series industrial fans can be used in cooling towers, air cooled heat exchangers, chillers, industrial radiators, condensers, evaporations and other exhaust application. 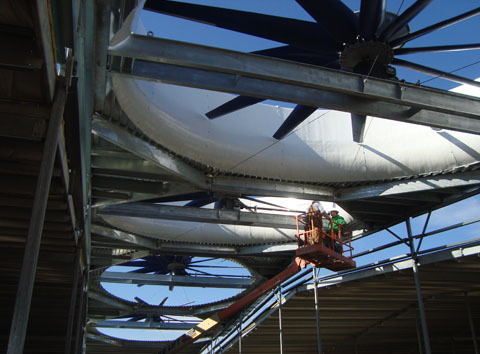 Hundreds of Swifter® Industrial Fans are installed worldwide. 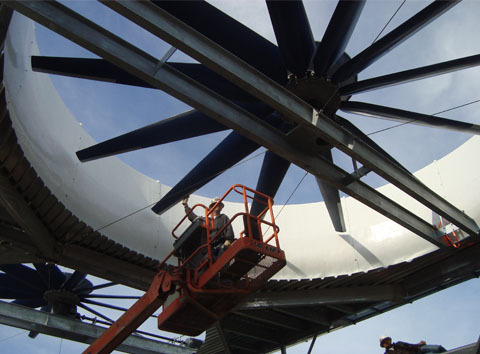 Swifter® Fans are precision balanced and undergo rigorous testing and quality inspection.